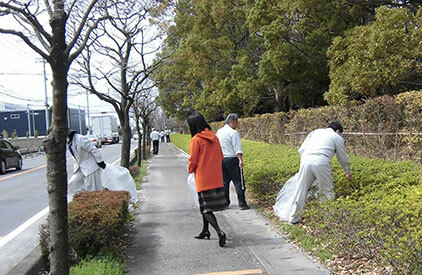 At Advantest’s Gunma R&D Center, the company holds a bimonthly clean-up activity where employees volunteer to spend their lunch break walking around the plant’s grounds, cleaning up trash while improving their physical fitness. 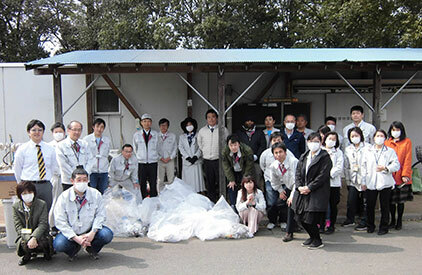 On March 29, 2019, the event saw full participation with 30 volunteers taking part. The participants commented that "I feel good to have taken part," "I’ll continue to participate whenever I can because I’m happy to be helpful," and "This increased my interest in participating in volunteer activities." As a responsible corporate member of society, Advantest will continue to proactively engage in environmental conservation activities.